Basic Information: Indian Navy recruitment department invites officers job Applications from all eligible Indian candidates. Indian fresher candidates who completed their education as well as unmarried are eligible for this Indian Navy recruitment 2019 for officer posts. Unmarried Male & female candidates are eligible for Short Service Commission (SSC) in Executive Branch (Pilot/Observer entry) & Education Branch. Unmarried eligible male for Permanent Commission (PC) in Executive Branch (Logistics Cadre) of the Indian Navy for course commencing Jan 2020 at the Indian Naval Academy Ezhimala, Kerala. 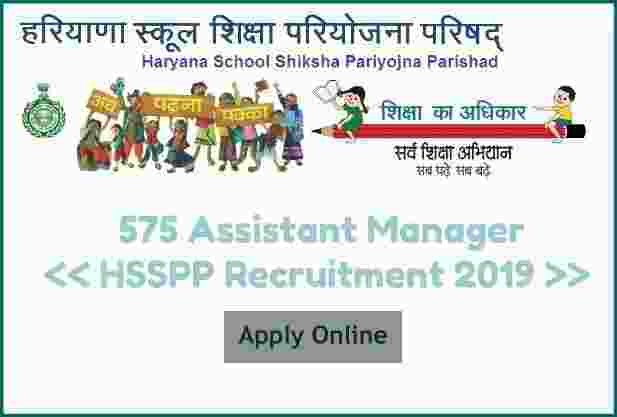 School Shiksha Pariyojna Parishad of Haryana is looking to fill up 575 vacancies of Assistant Manager Posts. 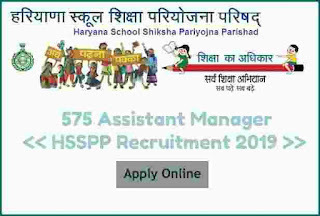 Procedure for applying these Govt jobs in Haryana is online through the official website of the department. Link will be active on 27th Feb. 2019 for applying online. This link for applying will remain activated up to 20th March 2019. Pay Band: Rs.20,000 per Month. 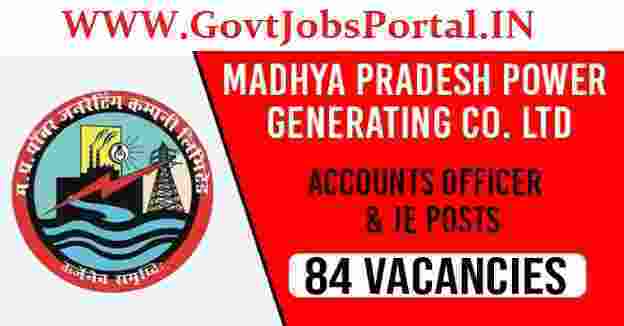 PNB Recruitment 2019 for various Officer job profiles as well as for Manager posts. Punjab National Bank is one of the Public Sector bank in India. 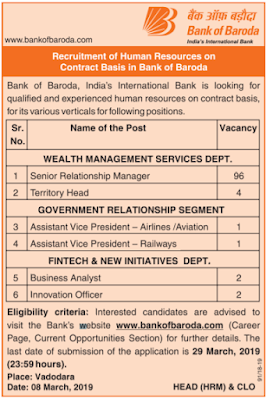 This bank is looking to fill up the vacant positions of Bank Manager and Various Officer job profiles on the regular basis. This is a great opportunity to all the Graduates and Post Graduates candidates who are looking for the Officer level jobs in the Banking sector. PNB is one of the well believed bank in India. This Bank have branches all over India. 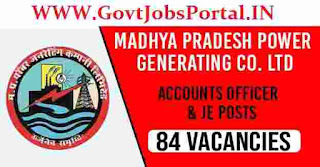 After the selection candidates can be placed anywhere in India in any branch of the Bank. The applicant can apply for only one job Profile and not more than one job profile. If any case of multiple job applications for various job profile only the latest application will be valid. 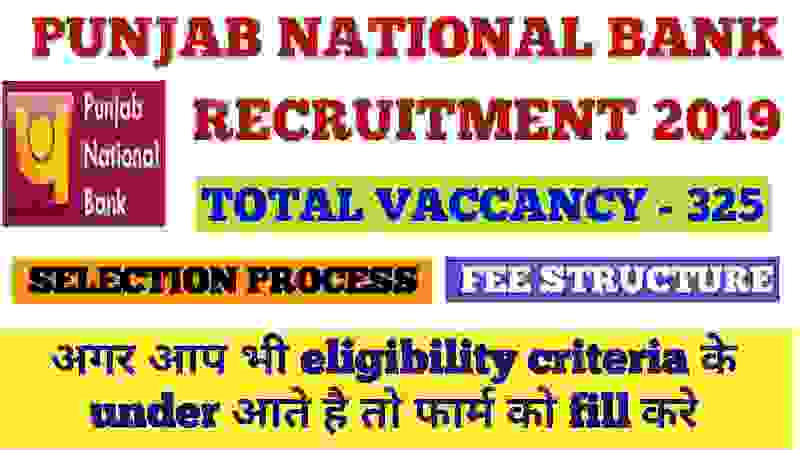 Before applying, the applicant should ensure that he/she achieves the suitability criteria related to this PNB Recruitment 2019 and other norms mentioned in the official advertisement whose link we also shared under IMPORTANT LINK section at the last of this article. Bank job applications, once submitted, will not be allowed to be withdrawn. The Bank would be free to reject any application, at any stage of this PNB bank Recruitment Process, if the applicant is found ineligible for the post, for which he/she has applied. Read the complete article carefully before applying for these Government jobs under banking sector of India. Under this section we share the various job profiles which are going to be filled up through this Bank recruitment process along with the various vacancies and the pay band which candidates will get after the selection. Check the table below for more information related to this PNB Recruitment process.